I’ve been meaning to do this for a long time…so without further delay, here is my DIY anemometer. 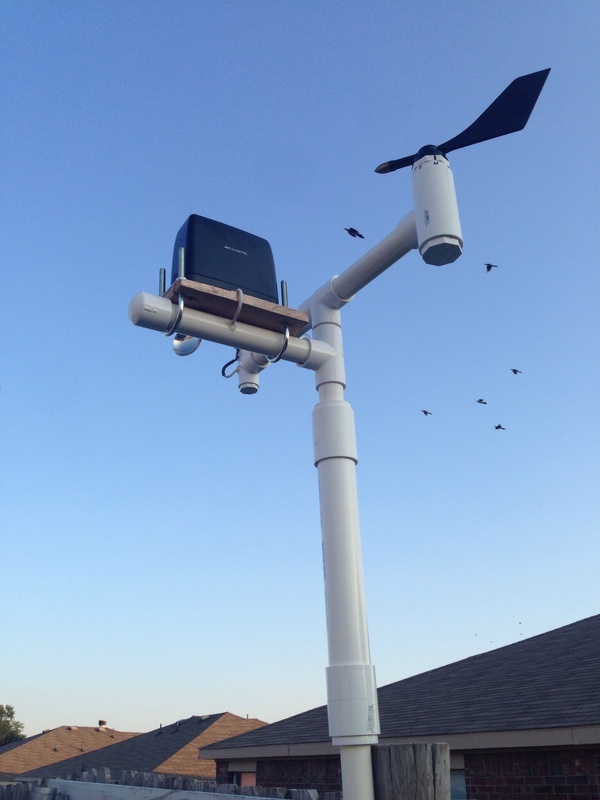 For those not familiar with what an anemometer is, they are used to measure wind speed. 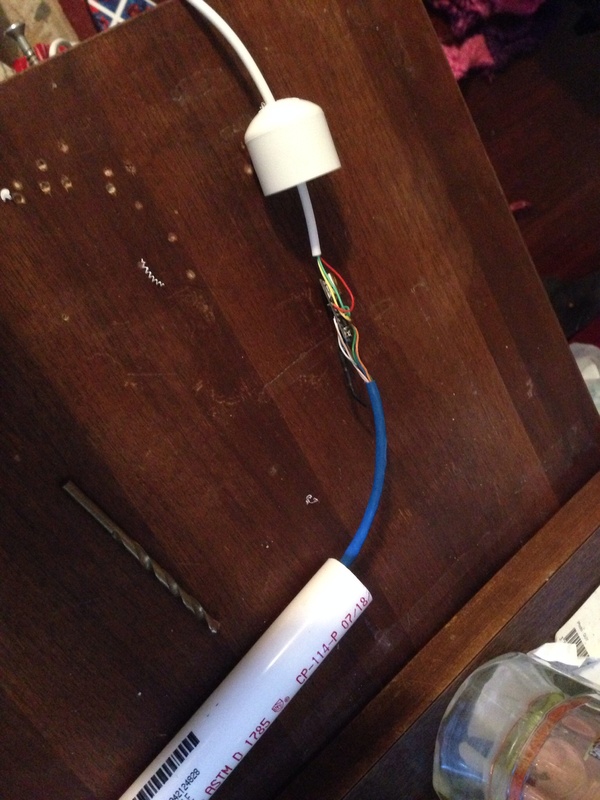 There are certain drawbacks to my design, but after having it active for at least 6 months. I think it works fairly well. The way it works is that it has a reed switch that is triggered with a magnet. 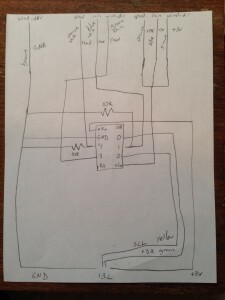 In my program, I have it hooked up to an interrupt and count the number of times it triggers within 10 seconds and then plug that into a formula. 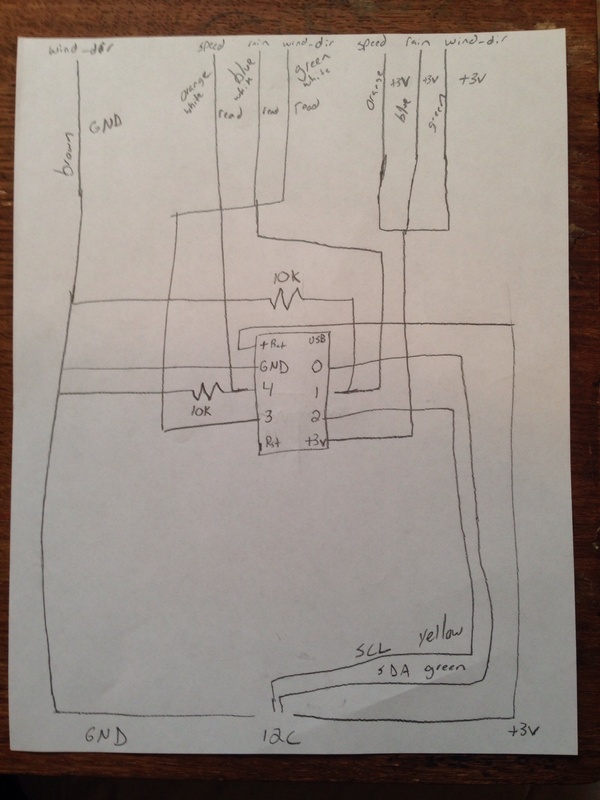 To come up with this formula, I created a setup on an Arduino that constantly looped the 10 second count. My wife and I took the car out to a county road and did some tests at different speeds. I took the average of 3 tries at 5 different speeds to create the formula I use to convert trigger count to mph. A 7/16″ threaded rod with some nuts and a washer, a 3/4″ to 1″ PVC “T”, a 1 1/2″ PVC cap, a 1″ cap (I think this is the size that fits over one of the sides of the “T”), a slip bushing that will fit in one of the 3/4″ sides of the “T” (that the next item will also fit in), a bearing, 3 ladle spoons (cheap @ Walmart), some small bolts and nuts (I’ll place the size in later), a very small magnet, a reed switch, and some cat 3 (or cat 5) cable. The first step is a bit of work. 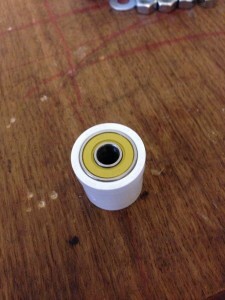 You have to get the bearing inside the bushing and have it flat with the bushing. What you’ll need to do is sand out the bushing some and use a piece of wood and a clamp to squeeze it in. It’s very important that it is as straight as possible. 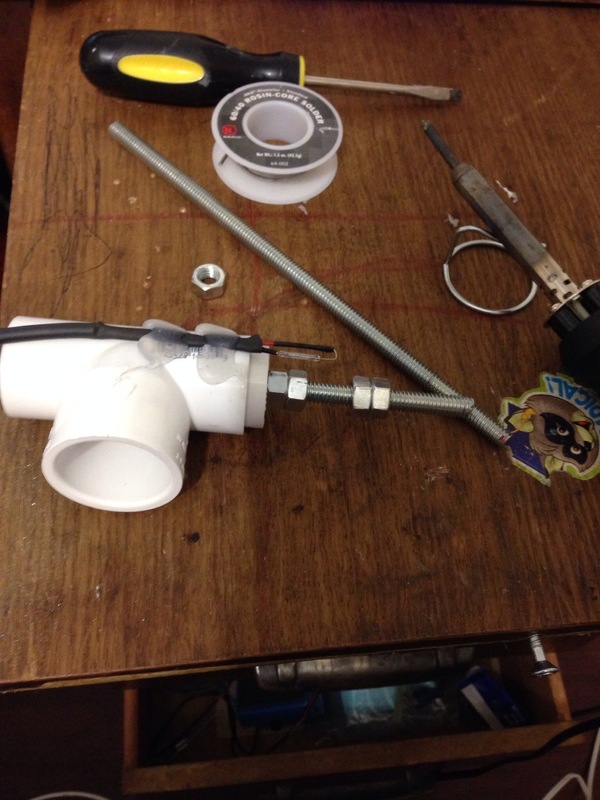 Next we begin to make the shaft. 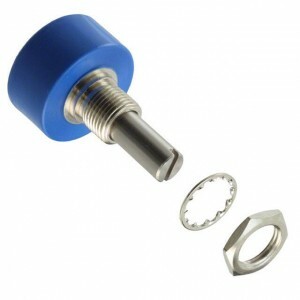 Place a lock nut at one end of your 7/16″ threaded rod. 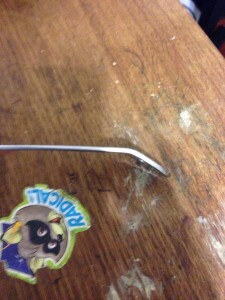 Showing the center lines and the bent handles. 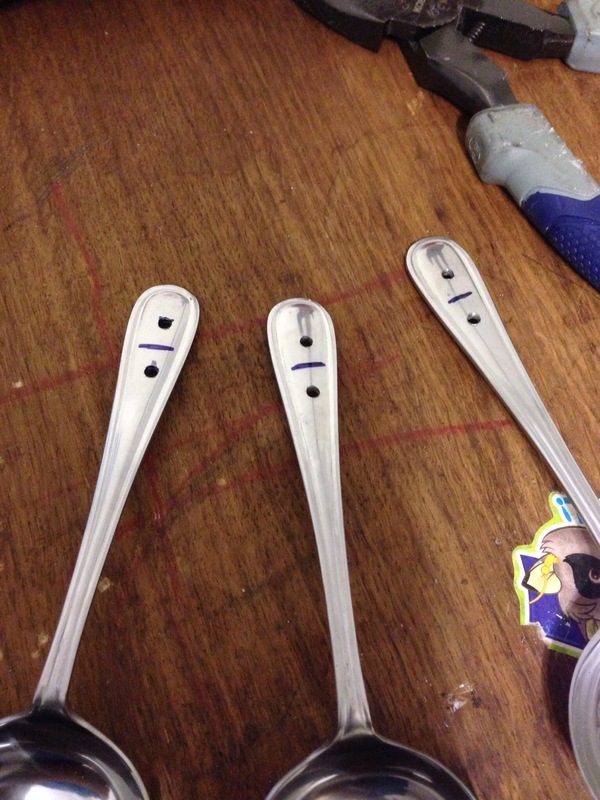 To attach the ladles to the PVC cap, you’ll need to mark and drill 3 holes. 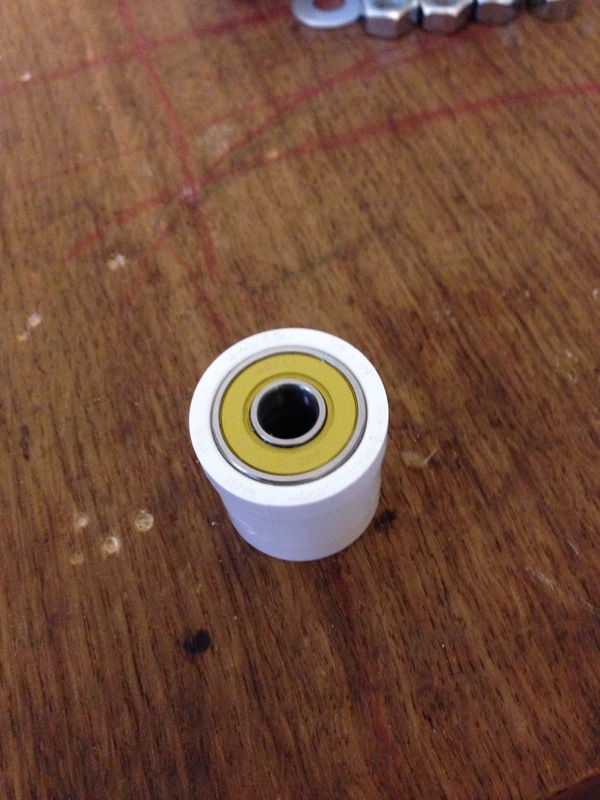 They need to be 2 7/16″ from each other and 1″ from the bottom of the cap. (Using a soft sewing tape measure works well for this. Now here’s where the center line comes in handy. 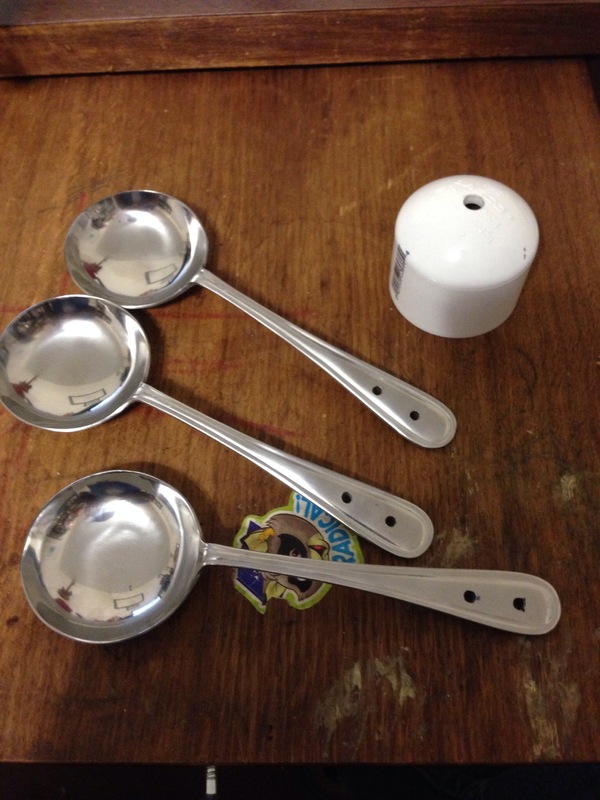 You’ll need to bend the handles of the ladles on this center line as shown. 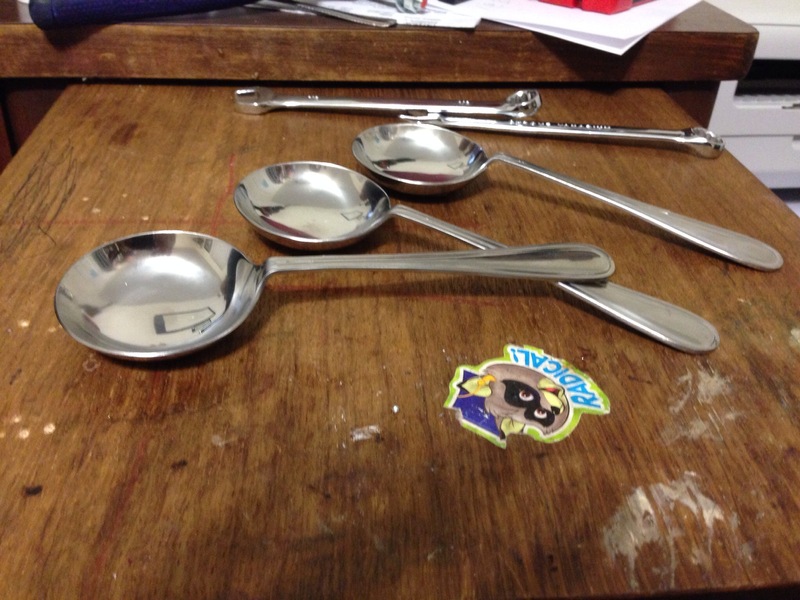 Now attach the first ladle to the cap and get it level with a table. Mark and drill the hole for the other screw and attach the other side of the ladle to the cap. 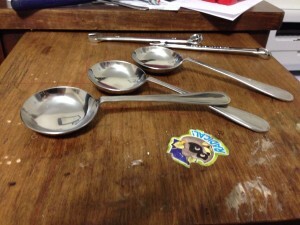 Continue to do this for the other two ladles. 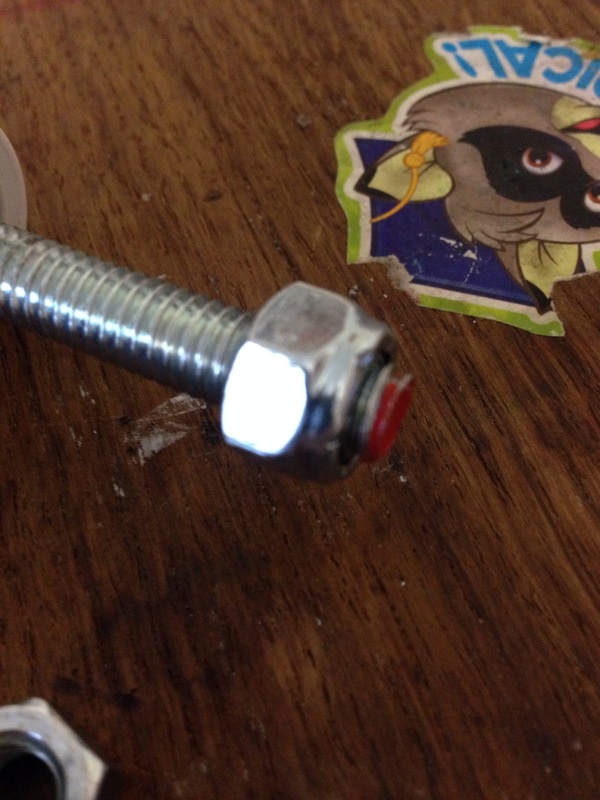 (I used lock nuts to attach these screws. 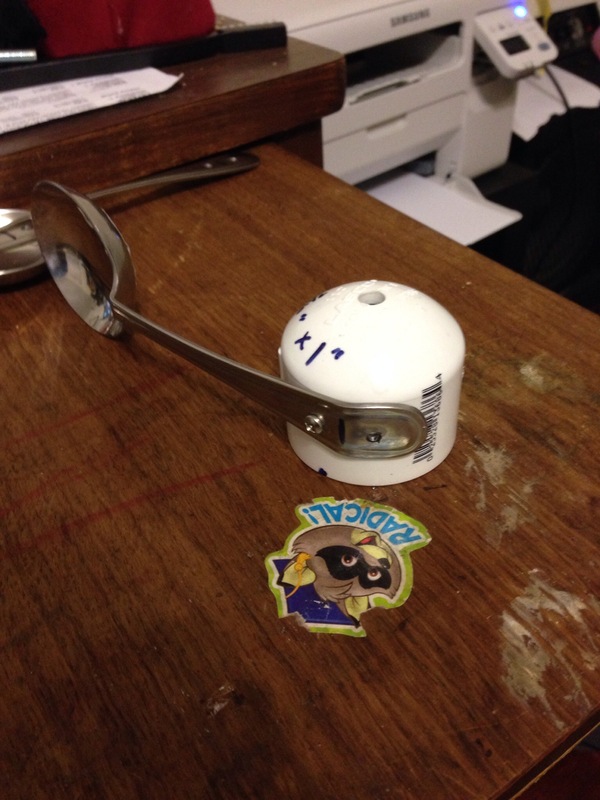 Hot glue your magnet (or 3) inside the cap. Now for some of the electronics. 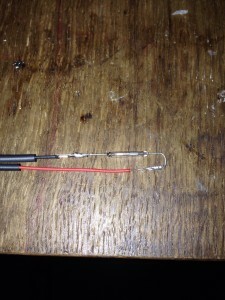 Take your reed switch and bend one side like shown. Be VERY CAREFUL, these are delicate. Now solder a wire to each side as shown and place shrink tube over the joints. I have found that you will need water proof this a bit. 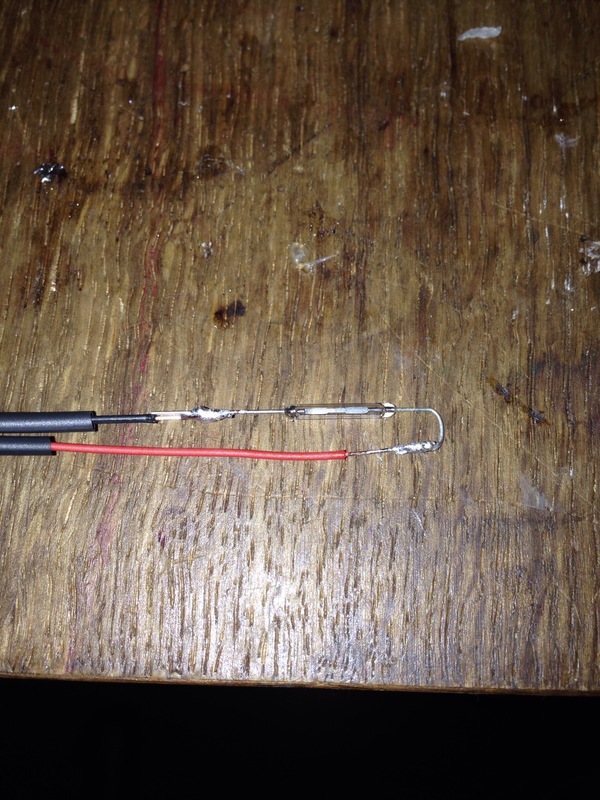 There are two ways to accomplish this…carefully place shrink tube over the reed switch and seal up the top, or buy these from Sparkfun. In this step you’ll need to cut your threaded rod to size. Place two nuts (use the locking feature explained earlier) and a washer on the rod and place the cap on. Adjust the nuts so that the magnet would pass over the reed switch when shown attached above. 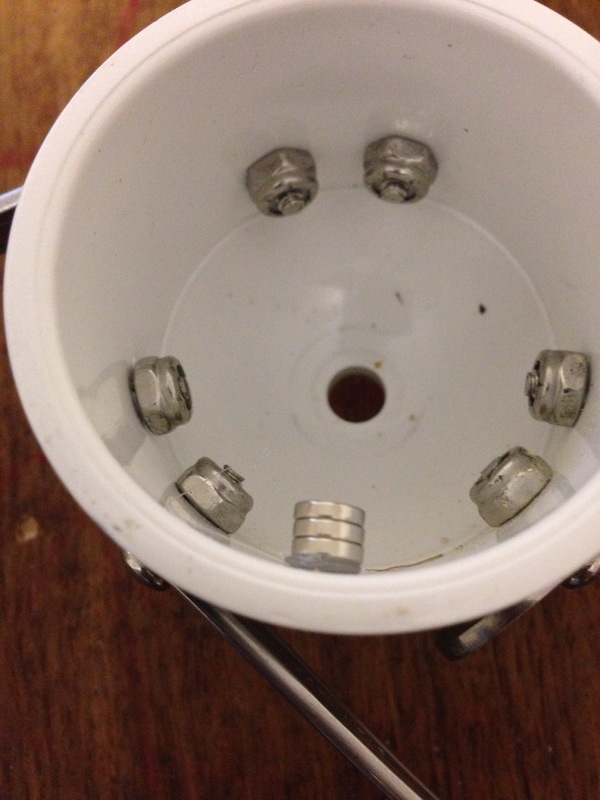 Give yourself enough room on top side of the cap to place two more nuts on and cut the rod with a hacksaw. Be careful not to mess up the threads. (Too much). Next use hot glue to attach the reed switch and wire as shown. Almost Done! Finishing up, drill a hole in the side of the “T” so the wire can go back inside. Hot glue around the wire to keep it still. 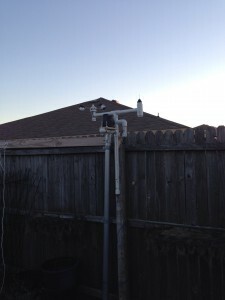 You can use 1″ PVC to connect it to the other parts of the weather station. 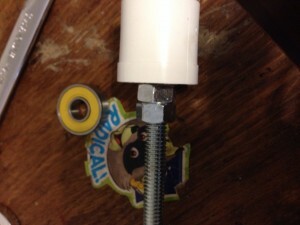 (as shown in the following picture..) Place the cap on the underside of the “T” to keep things out. 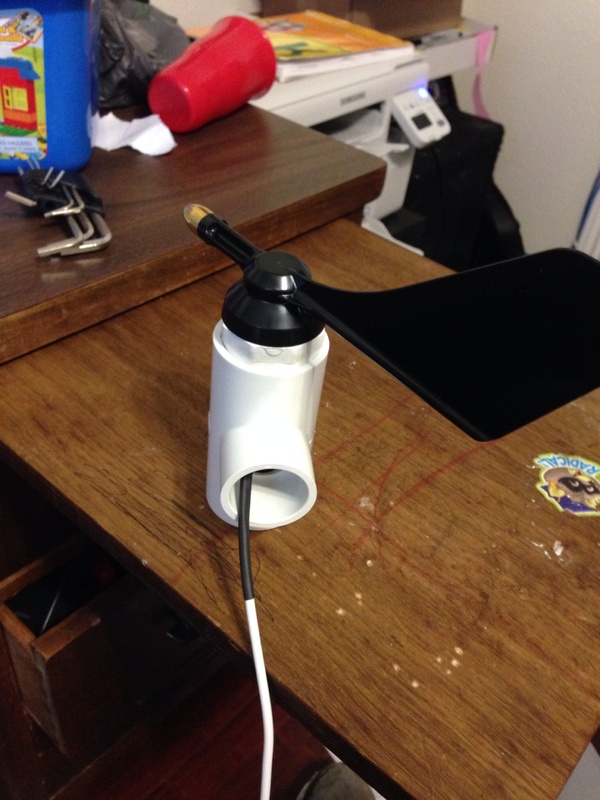 Here is a finished version on the desk and attached to the “mast”. 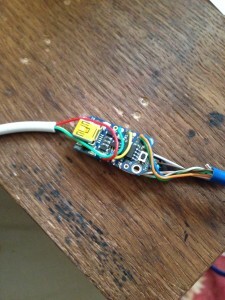 I will post the python (and now Trinket as I’ll go into later) code that use later. 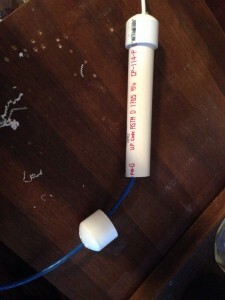 Here are the two main parts to the sensor. 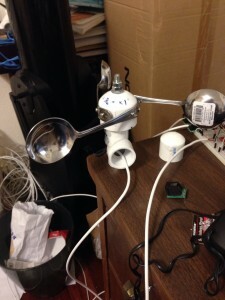 A Bourns 6639S-1-103 10k rotary potentiometer and a Davis instruments wind vane with brass tip for Vantage Pro2 anemometer. 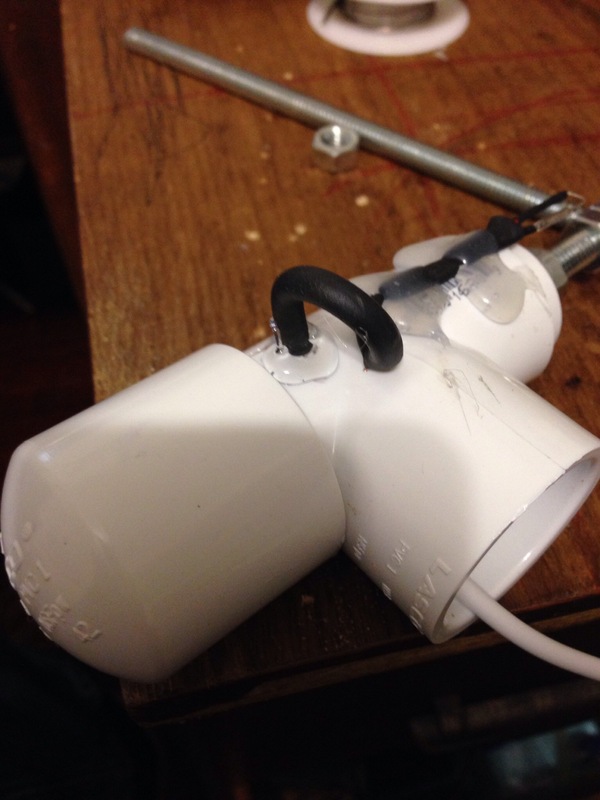 You’ll also need some cat3 or cat 5 cable, a 1 1/4″ to 1″ PVC “T” and two 1 1/4″ PVC plug. 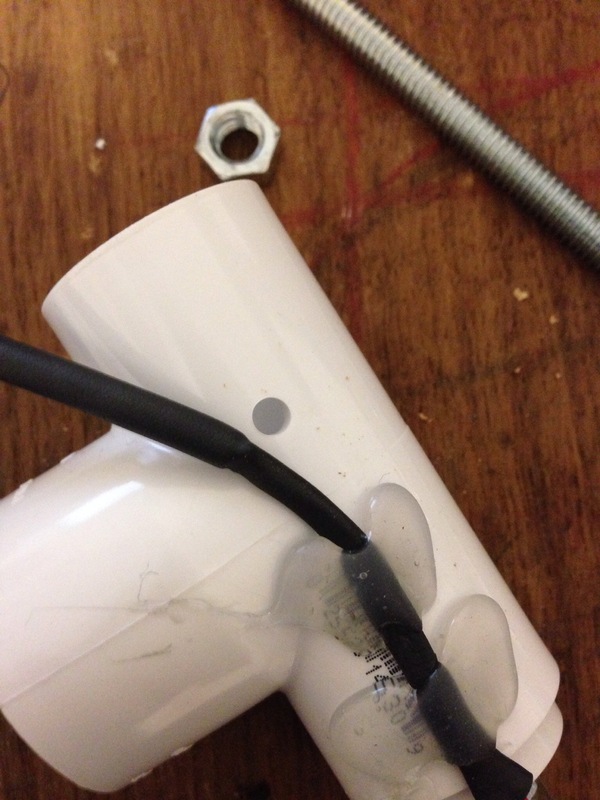 First you want to drill a hole in the middle of the PVC plug for the pot to go through. 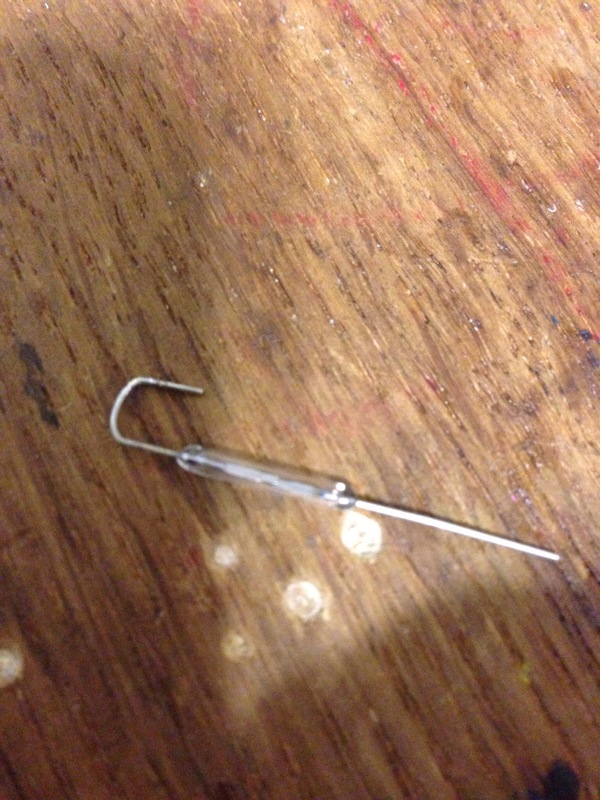 (Make sure you can get all the threads through the hole). Before you tighten the pot into the hole, you’ll need to solder some wires to the bottom of the pot. 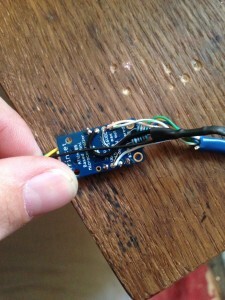 For the Raspberry Pi, you only need one on peg 1 and one on peg 2 (Power on peg 1 & read on peg 2). 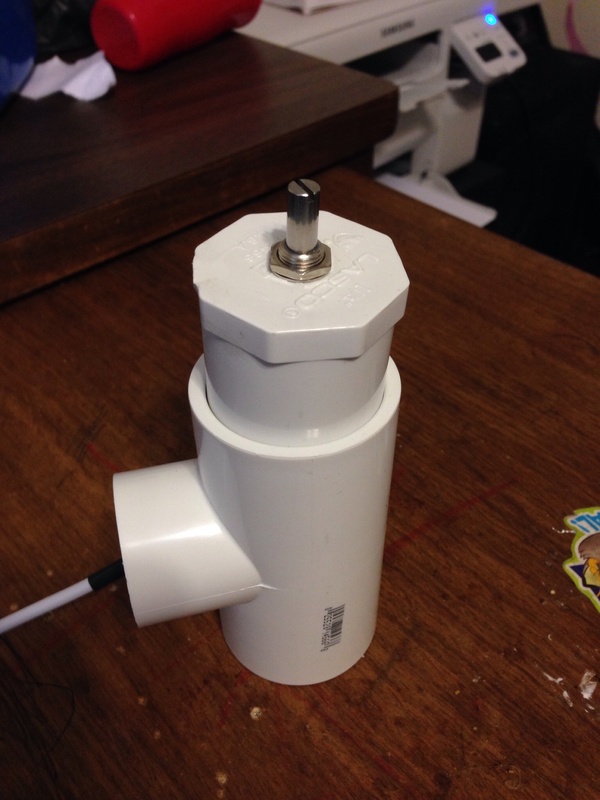 For Arduino, You’ll need to attach a ground to peg 3 of the pot. 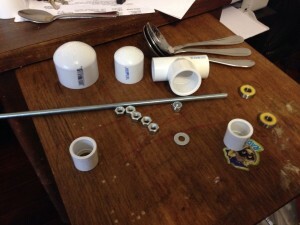 Make sure and use some shrink wrap to protect the joints. 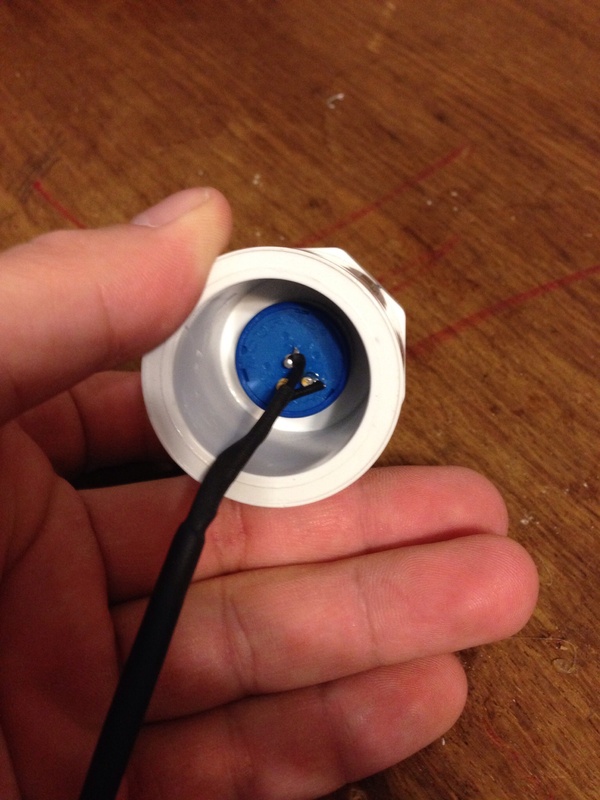 Once your soldering is done, tighten down the pot into the hole and slip your wire through the “T”. 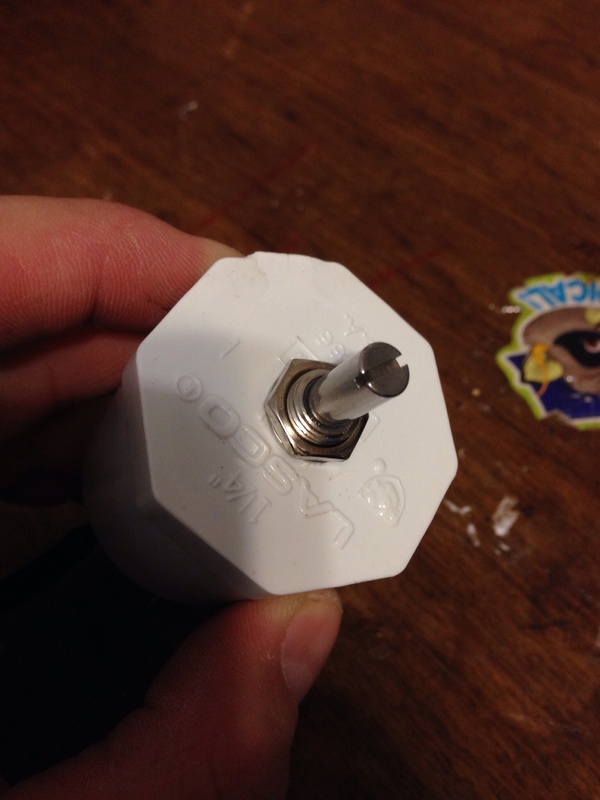 Make sure you mark “N” on your plug where 0 resistance is read after the pot is tightened down. 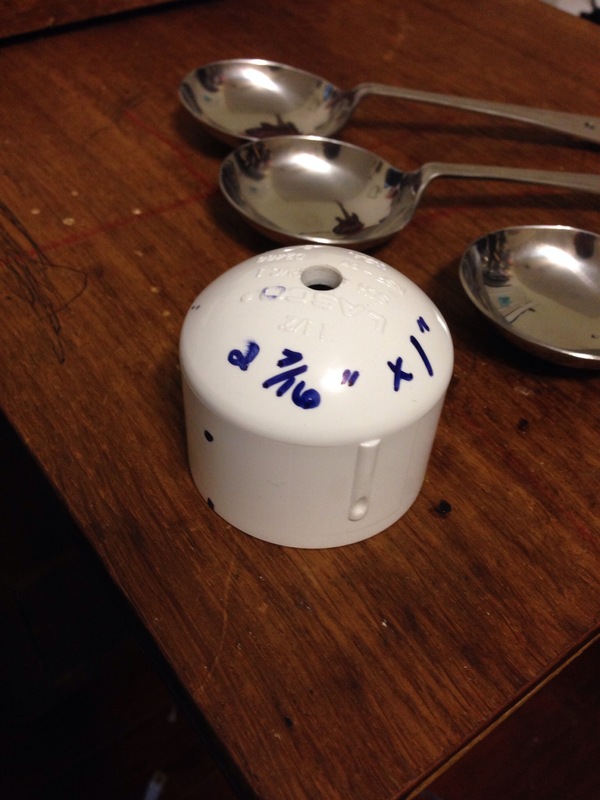 Keep your pot adjusted to this position. Slide the plug into the T. (Place another 1 1/4″ plug in the other side). 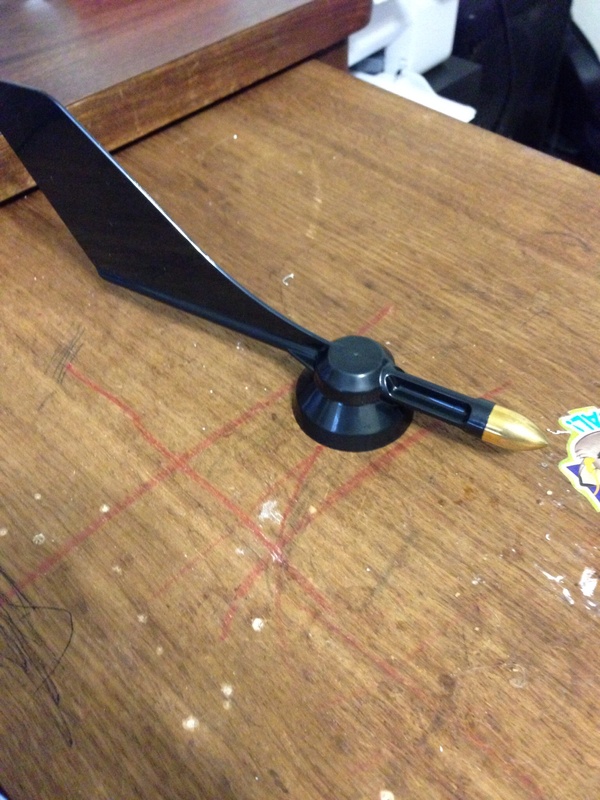 Finally, you’ll need to attach the vane. The vane has a small Allen screw in it. You’ll need to loosen it up before you slide the vain onto the post of the pot. Adjust the vane so it’s just barely off the plug, point it towards “N” that you marked on the plug and tighten it down. I’ll share the reading code part later when I can get on my main computer at home. 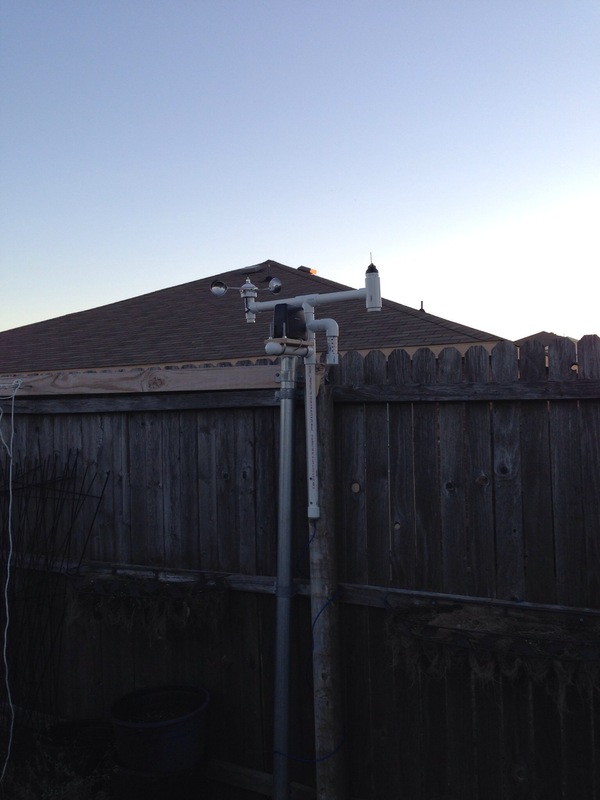 As I stated in the previous post, the readings of this sensor take a lot of work to setup. You have to get a reading at each direction and then split the difference between them to get a high and low. Somewhere I have an excel file that I use to do all the calculations and print out the code. I’ll load it here if/when I find it. As you can see from the above, I get all the way down to the minor directions such as “NNE” & “ESE”, etc. You can change it to suit your needs.